I guarantee you will never want regular coleslaw again once you’ve tasted this dish. Vegan or non-vegan, the flavors and textures of this simple, so quick to prepare recipe will knock your socks off. Its enjoyed all over Greece and a must-ask-for if you’re a vegan or vegetable lover traveling in Greece. Remove the outer leaves and the core from your cabbage, then cut the cabbage as thinly as possible. 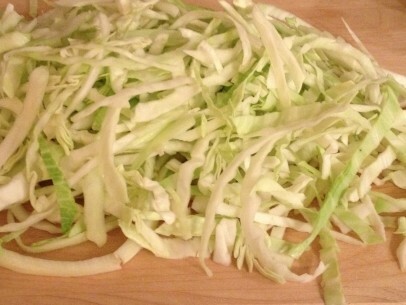 Break up cabbage with your fingers so that all the thinly sliced pieces are separate. 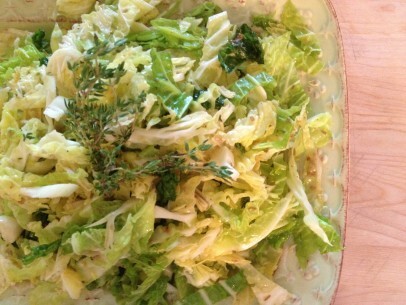 Fennel bulb brings a delicious, light licorice flavor to the cabbage salad. 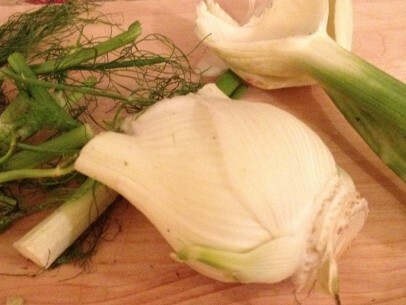 For this recipe, core the fennel bulb and remove the stalks and fronds. Save those to use in another recipe. Slice just the fennel bulb thinly and break up the slices to separate the pieces. So many authentic Greek spices help to make this salad of ordinary ingredients something so very special. Make sure to grind them all together to distribute the flavors evenly. Fennel seed, coriander and mustard powder along with fresh thyme blend with the red wine vinegar and lemon juice to give you a light, flavor packed dressing that will have your tastebuds singing! 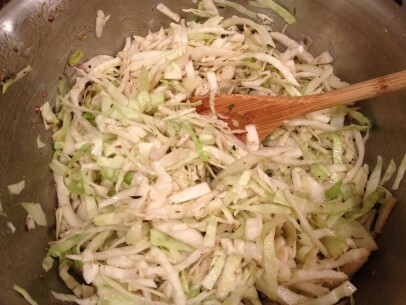 Pour dressing over your cabbage and fennel and toss to dress the salad evenly. You can serve the salad immediately after dressing or keep refrigerated and covered in the refrigerator for up to 2 days. The salad will wilt slightly but is still just as delectable, I promise! Slice cored cabbage head and fennel bulb into fine, thin strips. Set aside in large bowl. 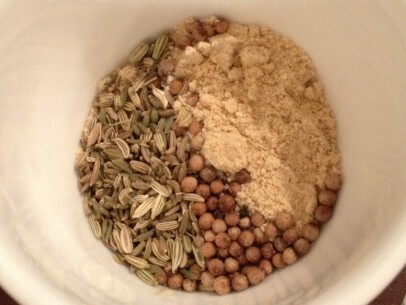 Grind spices together to combine well in mortar and pestle or spice grinder. In a small bowl, add spices to vinegar and stir to combine. Add oil and whisk together completely with a fork. I never tried it with all the aromatic seeds. My husband brought earlier two heads of cabbage. He loves fennel but did not bring this time. I will make next week for sure. This looks delicious! Do you really strip off enough fresh thyme leaves from the stems to make 1/4 cup?